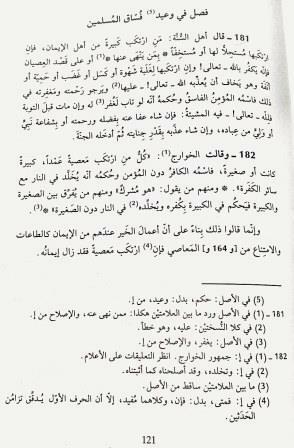 This entry was posted on Tuesday, July 22nd, 2014 at 10:25 pm and is filed under Beginner's knowledge, Disbelief (kufr), Kalam Science, takfiir. You can follow any responses to this entry through the RSS 2.0 feed. You can skip to the end and leave a response. Pinging is currently not allowed. 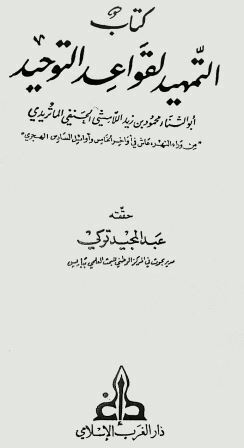 I heard a certain person who is Mutazili-minded in his beliefs mentioning that there is a Hadeeth to the effect that the one who commits adultery or drinks is not a believer while he is committing this act, and that this is one of the evidences for saying that the one who commits an enormity cannot be considered a believer. Is there any response to this from the Sunni ‘Ulaamaa? wa3alaykumussalaam,, yes, the meaning of this and similar hadiths is that such a person is behaving like a non-believer, or that his belief is incomplete. It’s like when you say in English, “this is not art” when you see a badly made piece of art, i.e. it is incomplete art. The wording is very strong for the purpose of strong rebuke/admonition. This is because of other hadiths, such as the hadiith of Abu Dharr, which states that the person who says, “there is no god but Allaah” (and believes all that it entails of belief in the Oneness of Allaah, the prophethood of Muhammad, etc.) will enter Paradise (eventually), “even if he does adultery and steals”.